The IJK designates the orientation of the RED arrow (X-axis). The X and Y direction of the arrow hasn’t moved from its original orientation, and are still in-line with the origin point in both directions. Only the Z-axis direction has changed…it is now pointing downward in the negative Z direction…therefore we use the negative one (-1). Had this been a positive one (+1) (I0 J0 K1), the red arrow would have been pointing UPWARD, and the Z-axis would have been oriented to the left side of the part. The UVW designates the direction of the GREEN arrow (Y-axis). 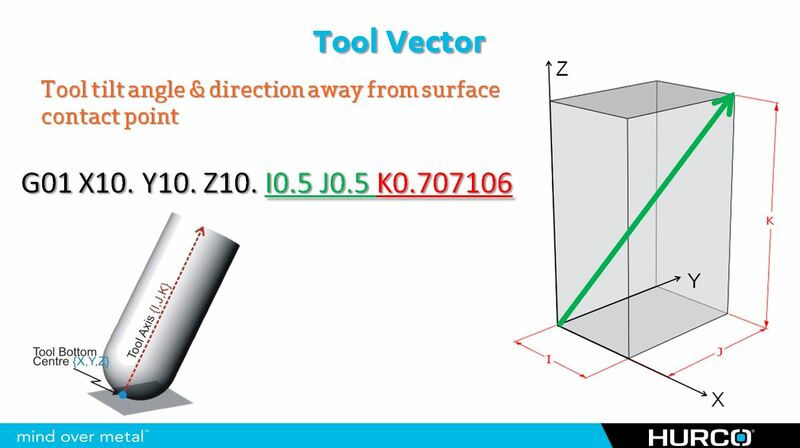 To designate the direction of the arrow, we only need to use a value of positive one (+1) in the Y-axis direction – which coincidently would be the same orientation of the Y-axis if we were machining on the top side of the part…this UVW vector would be the same for any transform plane where the Y-axis is still aligned in its original orientation. However, if a negative one (-1) had been used for the V token (U0 V-1 W0) then the GREEN arrow would be pointing toward the front of the part (180 degrees different), and the Z-axis would have been oriented to the left side of the part. As you can see, with a little bit of understanding, this really isn’t that difficult to visualize or program. 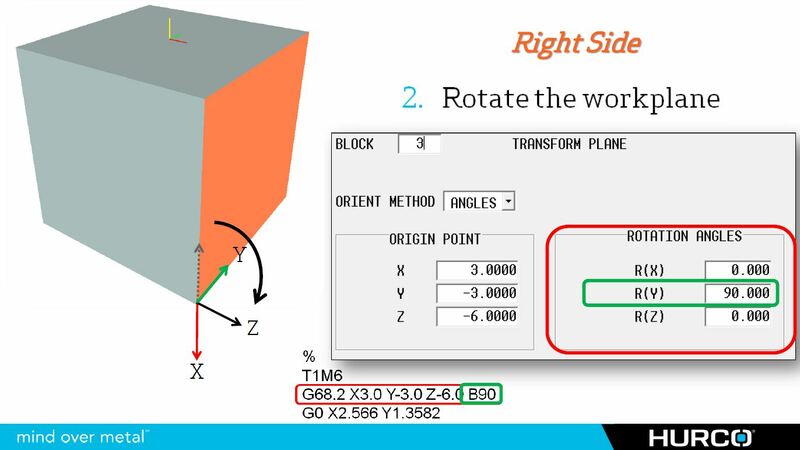 In this example we used a simple 90 degree rotation around one axis, but this same principle could be used to designate any compound angle of rotation necessary for any transform plane required. 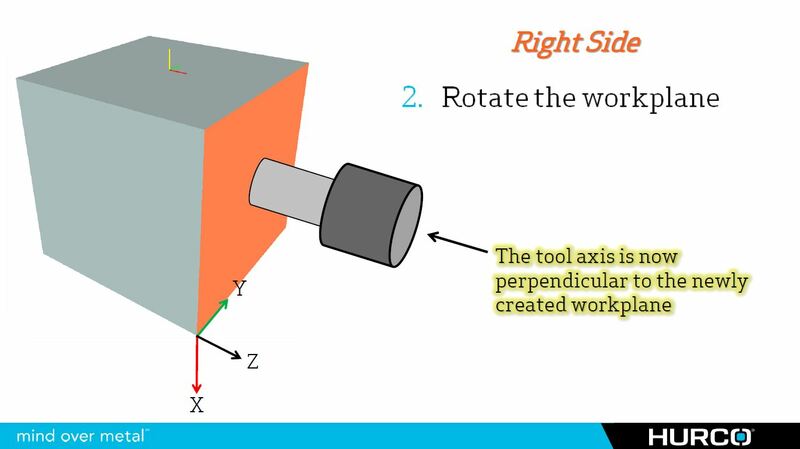 It is as simple as pointing the RED and GREEN arrows in the direction they need to point, and the Z-axis will always point perpendicular to the plane created.